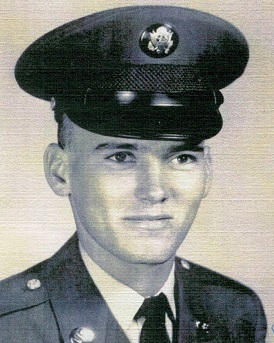 Specialist Four Wadlington distinguished himself by heroic action in the Republic of Vietnam. While on a combat operation Company “C”came under an intense enemy attack. The lead Armored Personnel Carrier was hit by an enemy rocket wounding the entire squad, Specialist Wadlington with complete disregard for his own safety raced through the intense enemy fire to a more advantageous position where could more accurately engage the enemy. From his uncovered position he placed devastating fire upon the enemy positions enabling the wounded soldiers to be evacuated safely. His valorous action contributed immeasurely to the success of the mission and defeat of the enemy force. Specialist Wadlington̓s personal bravery, aggressiveness, and devotion to duty are in keeping with the highest traditions of the military service and reflect great credit upon himself, his unit the 25th Division, and the United States Army.